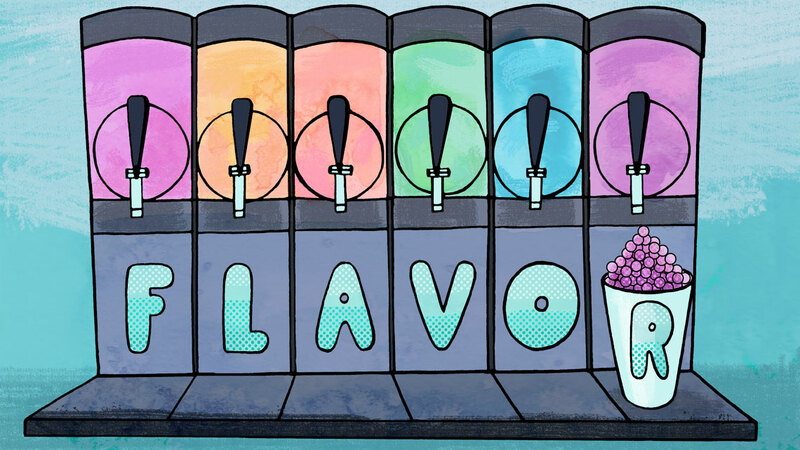 In particle physics, flavor has nothing to do with your taste buds. Instead, the term signifies different kinds of particles. 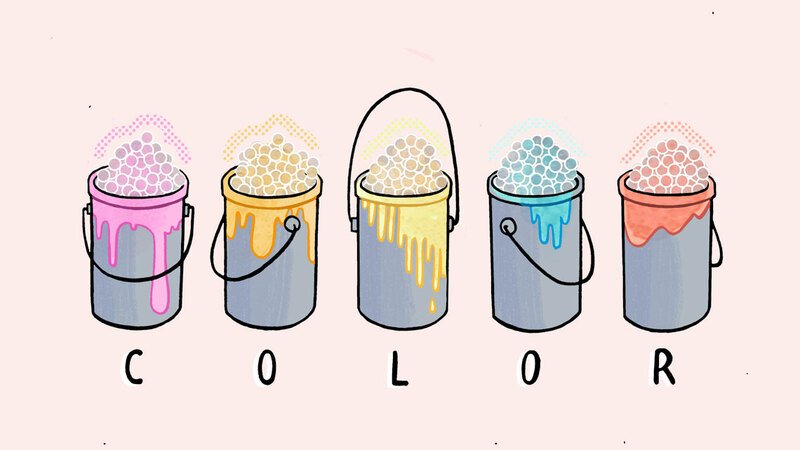 There are six “flavors,” or varieties, of quark: up, down, top, bottom, strange and charm. There are also six flavors of leptons: the electron, muon and tau, and their corresponding neutrinos (the electron, muon and tau neutrinos). Put away your box of crayons. Color, much like flavor, is another way of differentiating subatomic particles, but it isn’t based on hue. Quarks can be designated as red, green or blue, but the colorful naming scheme represents an abstract characteristic of the particles’ charge related to the strong (instead of electric) force rather than an actual color. In fact, there’s a whole field of physics dedicated to QCD: quantum chromo (or color) dynamics. 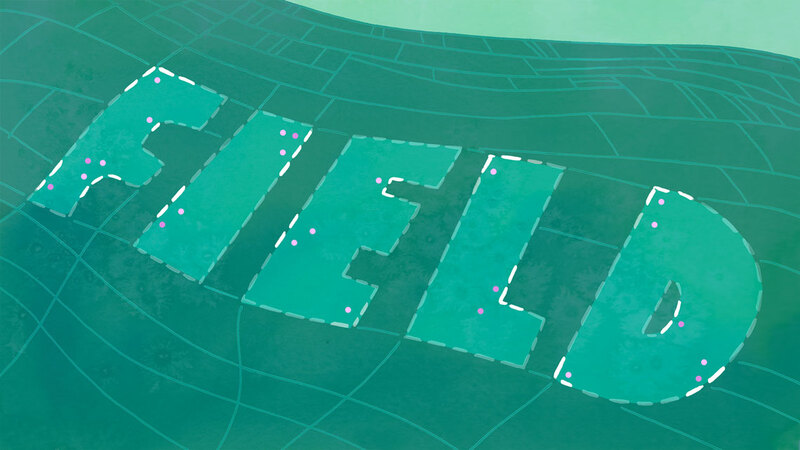 Physical fields can be dotted with crops or laden with grass and flowers. Fields in physics, however, are more monotone, and usually extend to infinity. They permeate the universe, becoming apparent only when they encounter something that can interact with them. Electrically charged particles can interact with the electromagnetic field; particles with mass can interact with the gravitational field, and part of what gives those particles mass is the Higgs field. 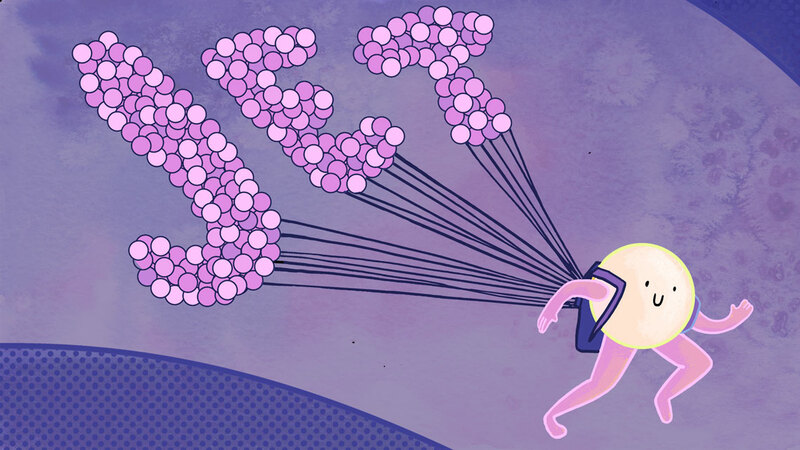 This is your captain speaking: In particle physics, jets are unrelated to airplanes. Jets are showers of hadrons (particles made of quarks and gluons) that often emerge from high-energy collisions in places like the Large Hadron Collider. They’re caused when an energetic quark or gluon starts to head off on its own. 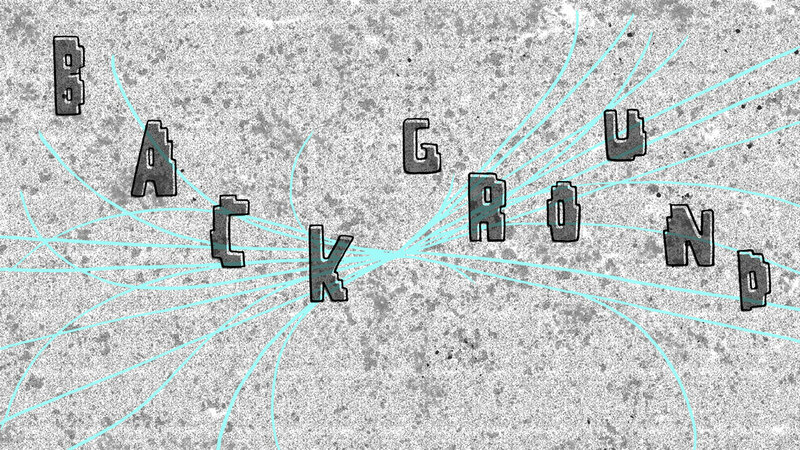 Quarks and gluons don’t like to appear solo, so the energetic particle pulls some friends out of the vacuum, creating a shower of particles headed in roughly the same direction. A jet is born! 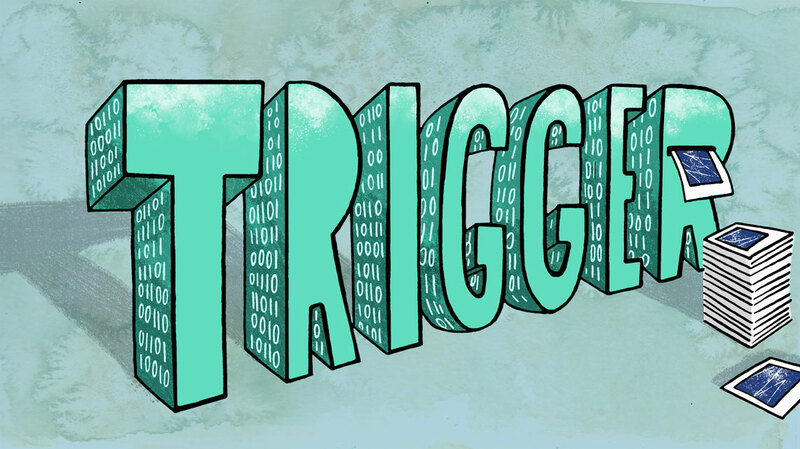 We typically think of a trigger as a device that sets something off. In particle physics experiments, a trigger is the system that tells a computer in a split second to capture the data from a certain collision. It’s a way of focusing on just the most interesting and relevant particle interactions at experiments that produce far more data than can be reasonably recorded, stored and analyzed. Backgrounds aren’t just for paintings and photographs. In physics experiments, the background refers to all of the extra signals that a detector may pick up while it is searching for something unique. For example, a detector built to study a beam of neutrinos produced at an accelerator might also detect particles coming from space. Sorting the desired signal from the background is a crucial part of particle physics experiments. 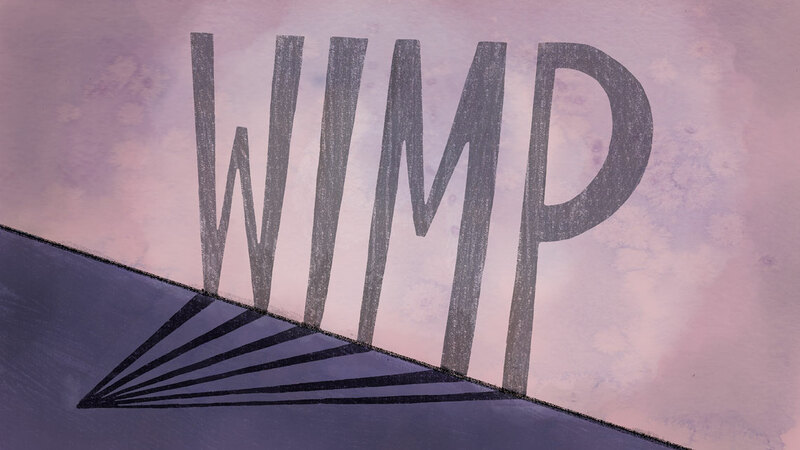 While “wimp” is an insult used to imply someone lacks courage or is weak, a “WIMP” is a strong candidate for dark matter. WIMP is an acronym for “weakly interacting massive particle,” a hypothetical particle that would be massive enough to explain mysterious gravitational effects cosmologists see in the universe but that would interact with other matter rarely enough to explain why it has yet to be observed. They’re one of several ideas for what makes up dark matter, the invisible substance that is thought to vastly outnumber regular matter in our universe. 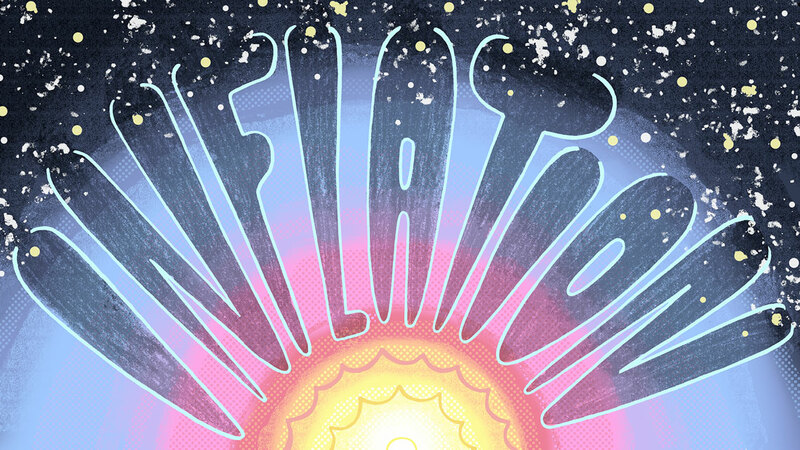 Inflation probably makes you think of a balloon blowing up or currency going down in value. But it could also inspire thoughts of the beginning of our universe. Physicists refer to inflation as the period just after the Big Bang when space expanded exponentially in all directions, causing small quantum variations to expand to a cosmic scale. This ultimately led to the large-scale structure of matter in the universe that we see today in things like galaxy clusters. When most of us deal with something entangled, it’s usually something like the cables of a pair of headphones. 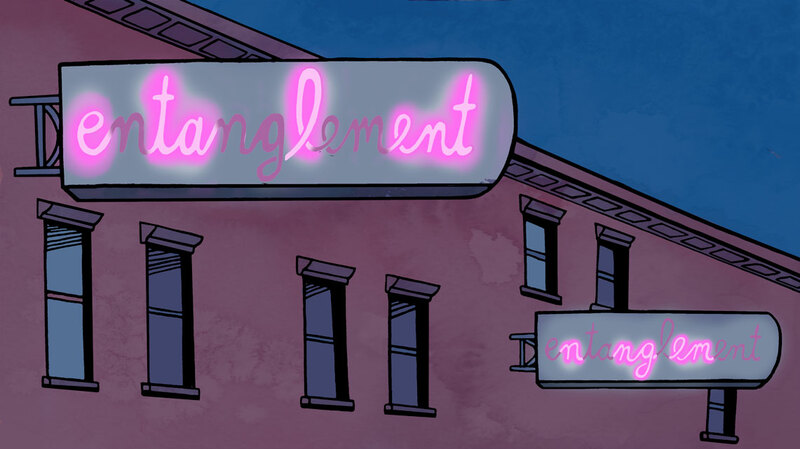 But for particle physicists, entanglement refers to what Einstein called “spooky action at a distance”: the way that two particles can be separated by great distances but “connected” in such a way that influencing one seems to affect the other instantaneously. Your standard candle is probably made of wax and has a wick. 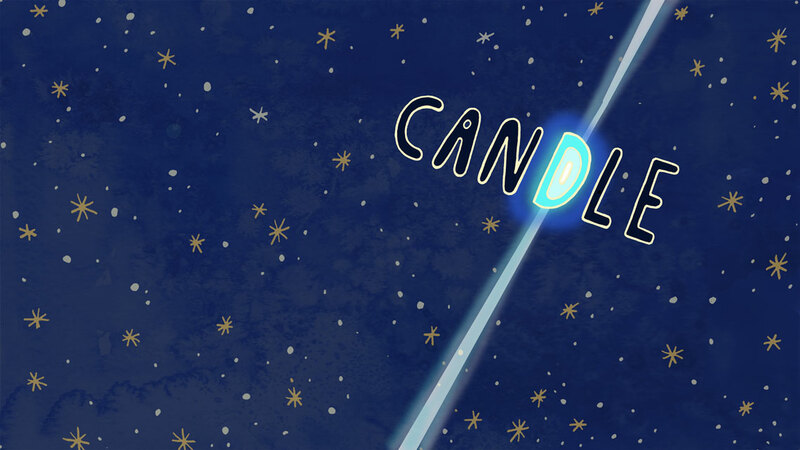 An astrophysicist’s standard candle is an astronomical object with a known brightness (or luminosity) that can be used to measure distances on an enormous scale. Examples of standard candles include X-ray bursts and different types of stars, such as Cepheid variable stars or supernovae (exploding stars). Measuring the speed of the expansion of the universe over time using standard candles, scientists made the startling discovery that the universe is growing at an accelerating rate. For 30 days, Chris Klapper and Patrick Gallagher spent about 12 hours per day sitting or kneeling atop a 20-by-14-foot platform at The Invisible Dog Art Center in Brooklyn. All day they gently scratched the sides of foot-long copper tubes, using the vibrations to coax grains of crushed, dyed marble onto a large blueprint. Slowly, they sculpted out a replica of a decades-old photograph—an image of tracks of microscopic bubbles left behind by charged particles curving through a magnetic field in a scientific instrument called a bubble chamber. Titled “Everything and Nothing,” the bright blue and white sculpture was part of Klapper and Gallagher’s ongoing series, “Dataatadata.” The piece was inspired by the Tibetan Buddhist tradition of the sand mandala. Mandalas, figures that often feature concentrically arranged, repeating shapes, originated in both Hinduism and Buddhism as ritual symbols for the universe. Buddhist monks painstakingly create and then dismantle intricate mandalas made of sand as a meditation on the impermanence of life. Mandalas can be found as far back as 14th century art. Bubble chambers, on the other hand, are not so old. Just a few decades ago they were considered cutting-edge technology in particle physics. Bubble chambers were large vessels filled with transparent liquid, heated just below boiling point. A piston would rapidly decrease the pressure inside the chamber, which caused the charged particles that passed through the superheated liquid to produce microscopic bubbles as they traveled. Scientists photographed those bubbles to study the paths the particles took and the energy they left behind. To find the perfect bubble chamber image to recreate, Klapper and Gallagher scrolled through hundreds of these photographs in the archive at the US Department of Energy’s Fermi National Accelerator Laboratory. One had a large circle, a remnant of the bubble chamber piston, directly in the middle of all the particle tracks. As it happens, mandala means “circle” in Sanskrit. “That image really stood out to us,” Gallagher says: It was the perfect marriage of mandala and particles. Using a grid system, the artists sketched each square of the photograph onto their platform, mapping more and more particle tracks as they went. Once their blueprint was ready, they began the task of putting millions of tiny grains in place. When guests entered the gallery during their work, either Klapper or Gallagher would pause and explain what they were doing. With their bubble chamber, Fermilab physicists had created a permanent record of a fleeting particle interaction, by photographing it. The sand mandala was a different kind of record. On the final day of the sand mandala exhibit in New York, an audience gathered to witness the performance one last time. At 7:30 p.m., the two creators stood across from each other on the platform and finished their piece—by dismantling it. They used thick brushes to sweep their carefully placed sand into a single pile, honoring the impermanence of the particles they depicted. In a process they say was more about transformation than destruction—and perhaps a nod to the conservation of the energy—the final collection of sand was placed into a large glass beaker to one day be displayed again. One of the artists explains the contents of the original bubble chamber image. The artists complete the blueprint. The artists begin to fill in the blueprint with sand. The artists complete the center of the mandala. The artists add sand one sprinkle at a time. The artists complete the image. The artists begin to sweep up the mandala. The artists start at the sides and work toward the middle. The artists sweep the sand toward the center. The artists erase the central circle of the image with their brushes. The sand mandala is not complete until it is dismantled. The artists sweep the sand into a pile in the center. The image they create is fleeting, but the artists preserve the sand to display again. The Large Synoptic Survey Telescope—scheduled to come online in the early 2020s—will use a 3.2-gigapixel camera to photograph a giant swath of the heavens. It’ll keep it up for 10 years, every night with a clear sky, creating the world’s largest astronomical stop-motion movie. The results will give scientists both an unprecedented big-picture look at the motions of billions of celestial objects over time, and an ongoing stream of millions of real-time updates each night about changes in the sky. Accomplishing both of these tasks will require dealing with a lot of data, more than 20 terabytes each day for a decade. 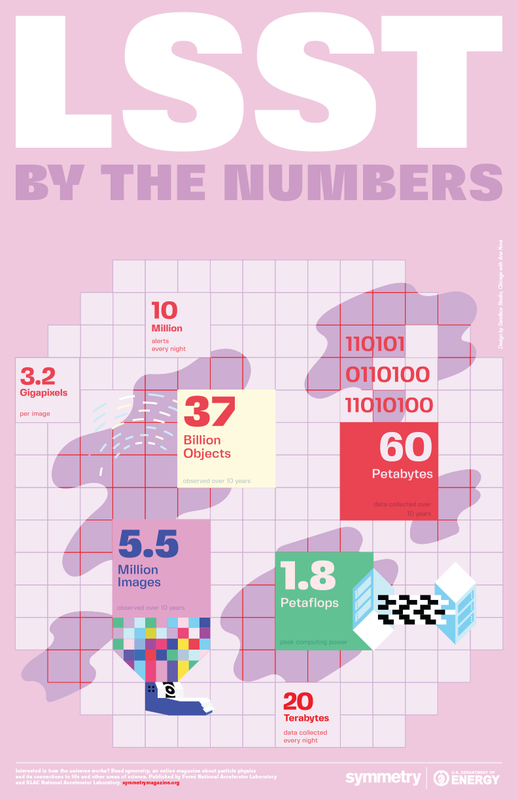 Collecting and storing the enormous volume of raw data, turning it into processed data that scientists can use, distributing it among institutions all over the globe, and doing all of this reliably and fast requires elaborate data management and technology. This type of data stream can be handled only with high-performance computing, the kind available at the National Center for Supercomputing Applications at the University of Illinois, Urbana-Champaign. Unfortunately, the U of I is a long way from Cerro Pachón, the remote Chilean mountaintop where the telescope will actually sit. But a network of dedicated data highways will make it feel like the two are right next door. Every 40 seconds, LSST’s camera will snap a new image of the sky. The camera’s data acquisition system will read out the data, and, after some initial corrections, send them hurtling down the mountain through newly installed high-speed optical fibers. These fibers have a bandwidth of up to 400 gigabits per second, thousands of times larger than the bandwidth of your typical home internet. Within a second, the data will arrive at the LSST base site in La Serena, Chile, which will store a copy before sending them to Chile’s capital, Santiago. From there, the data will take one of two routes across the ocean. The main route will lead them to São Paolo, Brazil, then fire them through cables across the ocean floor to Florida, which will pass them to Chicago, where they will finally be rerouted to the NCSA facility at the University of Illinois. If the primary path is interrupted, the data will take an alternative route through the Republic of Panama instead of Brazil. Either way, the entire trip—covering a distance of about 5000 miles—will take no more than 5 seconds. NCSA will be the central node of LSST’s data network. It will archive a second copy of the raw data and maintain key connections to two US-based facilities, the LSST headquarters in Tucson, which will manage science operations, and SLAC National Accelerator Laboratory in Menlo Park, California, which will provide support for the camera. But NCSA will also serve as the main data processing center, getting raw data ready for astrophysics research. NCSA will prepare the data at two speeds: quickly, for use in nightly alerts about changes to the sky, and at a more leisurely pace, for release as part of the annual catalogs of LSST data. Alert production has to be quick, to give scientists at LSST and other instruments time to respond to transient events, such as a sudden flare from an active galaxy or dying star, or the discovery of a new asteroid streaking across the firmament. LSST will send out about 10 million of these alerts per night, each within a minute after the event. Hundreds of computer cores at NCSA will be dedicated to this task. With the help of event brokers—software that facilitates the interaction with the alert stream—everyone in the world will be able to subscribe to all or a subset of these alerts. The releases will be curated catalogs of billions of objects containing calibrated images and measurements of object properties, such as positions, shapes and the power of their light emissions. To pull these details from the data, LSST’s data experts are creating advanced software for image processing and analysis. They are also developing machine learning algorithms to help classify the different objects LSST finds in the sky. Annual data releases will be made available to scientists in the US and Chile and institutions supporting LSST operations. Last but not least, LSST’s data management team is working on an interface that will make it easy for scientists to use the data LSST collects. What’s even better: A simplified version of that interface will make some of that data accessible to the public. With the warmth of holiday cheer in the air, Nottingham University theoretical physicist Clare Burrage and her colleagues decided to hit the pub after a conference in December 2014 and do what many physicists tend to do after work: keep talking about physics. That evening’s topic of conversation: dark energy particles. The chat would lead to a new line of investigation at the Large Hadron Collider at CERN. Dark energy is a catch-all term that scientists coined to describe whatever seems to be pushing the bounds of the universe farther and farther apart. If gravity were the only force choreographing the interstellar ballet of stars and galaxies, then—after the initial grand jeté of all of the matter and energy in the universe during the big bang—every celestial body would slowly chassé back to a central point. But that’s not what’s happening. Instead, the universe continues to drift apart—and it’s happening at an accelerating rate. Most experiments studying this mysterious cosmic expansion look at intergalactic movements and precision measurements of the effects of gravity. Dark energy could be a property of spacetime itself, or just a huge misunderstanding of how gravity works on a cosmic scale. But many theorists suspect that dark energy is a new type of force or field—something that changes how gravity works. And if this is true, then scientists might be able to put just the right amount of energy into that field to pop out a particle, a particle that could potentially show up in a detector at the LHC. This is the way scientists discovered the Higgs field, by interacting with it in just the right way for it to produce a Higgs boson. The ATLAS and CMS experiments, the big general-purpose experiments at the LHC, search for new fundamental forces and properties of nature by recording what happens when the LHC smashes together protons at just under the speed of light. The giant detectors surround the collision points and map the energy and matter released from the collisions, giving scientists a unique view of the clandestine threads that weave together to build everything in the universe. The theory Burrage and her colleagues were poring over at the pub predicted that if dark energy is a new type of field, it might produce light particles with strong and specific interactions with matter. “The main focus of LHC has been heavy particles, so we had to go back and re-interpret the data to look for something light,” she says. Burrage worked with Philippe Brax of Université Paris-Saclay and Christophe Englert of the University of Glasgow to check publicly available data from the first run of the world’s most powerful collider for signs of a lightweight dark energy particles. They quickly determined that the signs they were looking for had not appeared. With this simple model easily eliminated, they decided to take on another idea with a more cryptic signature. They knew that more complex analyses would require the expertise of an experimentalist. So in April 2016, along with Michael Spannowsky of Durham University in the UK, they published a new hypothesis in the scientific journal Physical Review Letters—and waited. They found their experimentalist in Spyros Argyropoulos, a postdoc at the University of Iowa working on the ATLAS experiment, who read their article. Argyropoulos reached out to Burrage and her colleagues to define the parameters, and then he and a group of ATLAS scientists went to the data. According to this new theory, dark energy particles should radiate off of energetic top quarks and show up in the detector as missing energy. Argyropoulos and his colleagues went through ATLAS analyses of top quarks and, in a separate search, looked at certain other collisions to see if any of them showed the signatures they were looking for. They did not. The landscape of dark energy theories is enormous. Burrage’s specialty is scouring that landscape, searching for theories that can be tested, and then proposing ways to test them. Liz Sexton-Kennedy first came to Fermilab as an intern during her sophomore year at Rutgers University. She went on to a PhD program in physics at University of California, San Diego, then spent some time teaching at a community college there, but when she saw a chance to return to the lab, she took it. In 1988 she joined the Data Acquisition Group for the CDF experiment at Fermilab’s Tevatron particle collider. She rose through the ranks, and in April 2018 was named the lab’s Chief Information Officer. Jim Daley of Symmetry spoke to Sexton-Kennedy about her experiences in STEM, her career at Fermilab, and a bit about herself. What was something that first got you interested in science? I was a young, impressionable kid when I first saw [the 1977 short film] “Powers of Ten.” The concept that there were dimensions to the world that we couldn't see, or that there were things out there that we couldn’t understand because we can only see so many stars when we look up, the idea that the cosmos could be thought about in a whole, organic sort of way—all of that was new and fascinating to me when I was a kid. I was the oldest of four kids, and my parents didn’t have time to tutor me, and so relative to a lot of my classmates when I started school, I was behind. But in sixth grade, I had one particular science and math teacher, Mr. Moore, who was very influential in my life. He made it cool to be good at math and science. When it came to the playground, I was always picked last. But when it came to the math contests, I was always picked first. It was a reversal of recognition. When I went to high school, I knew I wanted to be taking calculus by my senior year, so I talked my way into getting into the most advanced algebra class they offered. The class was self-paced. I finished the whole year in half a year. Was that alienating, or empowering, or both? I think it was alienating. There was a dimension of being a female there, because the instructor literally thought I was not understanding the material and that was why I was having trouble paying attention. Actually, I was just bored. After high school, you did an internship at Fermilab, right? That was my second year of college. My first year of college, they placed me into a set of classes that weren’t very challenging for me. I had done a full year of college-level calculus when I was a senior in high school. So they placed me in a more advanced physics class with a smaller class size and a teacher who knew how to challenge a class. So that was fun for me. I took the sophomore year electronics class. I did well in that class, and the professor needed someone to come out to Fermilab because two of their graduate students were getting married to each other [and would both be out at the same time]. The internship gave me a taste of what this career would be like if I were to continue in this direction, so that made me think differently when I got to graduate school. By graduate school I was completely determined. It seems you were a determined person from a very young age. From a very young age, but my determination in the early years was just to learn as much as I possibly could. Being paid to learn was a strange concept to me! Do you have thoughts on the kinds of barriers that are still presented to women and girls in STEM? It’s definitely still there. I have three daughters; they’ve all encountered it. My husband was a genius, and they got some of his genius genes, and they grew up in a household where people were talking science at the dinner table all the time. But for whatever reason they were definitely discouraged in math. My oldest daughter was lucky to have a high school biology and chemistry teacher who really encouraged her, so she’s a doctor now. She’s a resident at UIC now. My middle daughter was much more interested in the human psyche, and she went into psychology. Now she’s in law school. Do you think there's a role for an institution like Fermilab in supporting young people who are facing barriers? Yeah, I think there is, because certainly when I came here when I was 19, I was immersed in a group where I was treated as an equal. I was lucky because I landed in an experiment that had a high fraction of female scientists. In a collaboration of 20, I can name five or six women off the top of my head. I think one of the things that Fermilab brings—or any big institution that is aware of these biases—is the idea of a meritocracy. People want to succeed in the sciences, and they want to bring in the best people to get them there. I'm not saying there aren't politics here, but in the end, the data and the cogent argument win in any dispute. What developments are you excited about in high-energy physics computing? I think for software and computing, we’ve been really successful over the years, especially in high-energy physics. The Large Hadron Collider experiments have needed a worldwide network of interconnecting centers that all cooperate and satisfy the needs of their high-data throughput users. We’ve managed to stay ahead of the curve, and when you’re in the thick of the battle you don’t realize how far you’ve come. Building on that success is exciting. There’s no way we can reach our science goals unless we can solve some of the challenges that are coming up. The physics driving the silicon chip manufacturing is reaching limits. There’s a physical limit that we're approaching with the materials we have, the leakage currents. People are talking about different technologies like quantum computing and neuromorphic computing, but both are 15 years out. Fermilab and other labs are looking at what you can do with mid-scale noisy quantum. Getting a qubit to operate like a computer seems impossible, but maybe that means we’re just making the wrong assumptions. Maybe you shouldn’t make it operate like a computer. Maybe the answer is: It will always be something that you have to design the problem for, and the role of traditional computers will still continue to be there forever. What’s interesting is that the nature of computing has to change in order for us to continue doing the science we've done in the past. That’s going to require a lot of human effort, and that’s kind of exciting, to marshal our forces to meet that challenge. I did ballet for over 35 years, and I hope to get back to it. I’ve been doing a lot of singing. I’m in a choir at church and I sing with the Fermilab choir every once in a while. I sang for an HEP-version of “The Monster Mash” with the choir for Symmetry in October. Are there parallels between the challenges in ballet and your career in STEM? I would say so. It takes a certain amount of putting up with the pain and perseverance in both. What advice might you have for young people and young women in STEM? I would say that perseverance is key, and don’t let anybody tell you that you are not worthy or that you have not the appropriate skills or talents to do something if you think you can do it. Have confidence in yourself and do it.